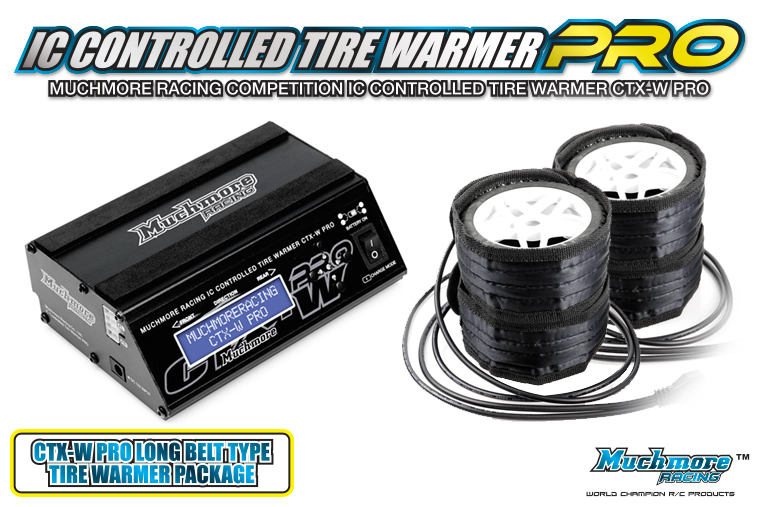 MM-CTXWPRL IC Controlled Tire Warmer Pro Long Belt Type for 1/10 Off-Road, 1/8 GT ICコントロール・タイヤウォーマーPro ロング.ベルトタイプ 1/10 -Muchmore Racing. 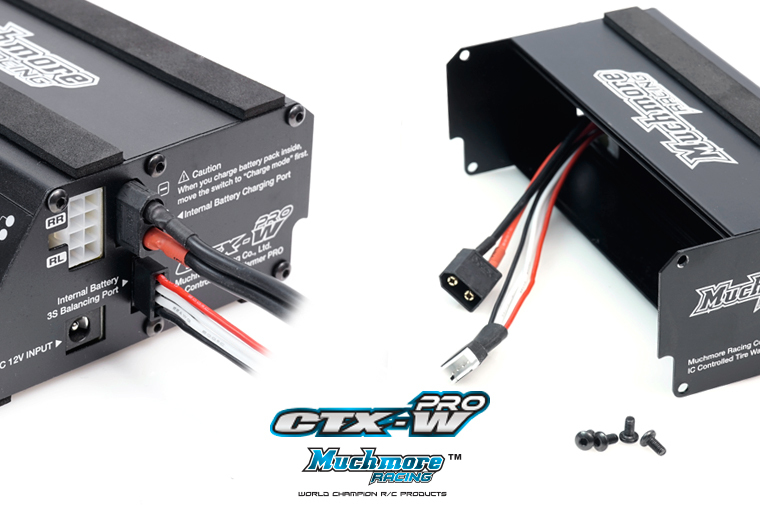 Co., Ltd.
CTX-W PRO have 4 navigation buttons. For using select menu, change value and etc. The LED indicates operating status. 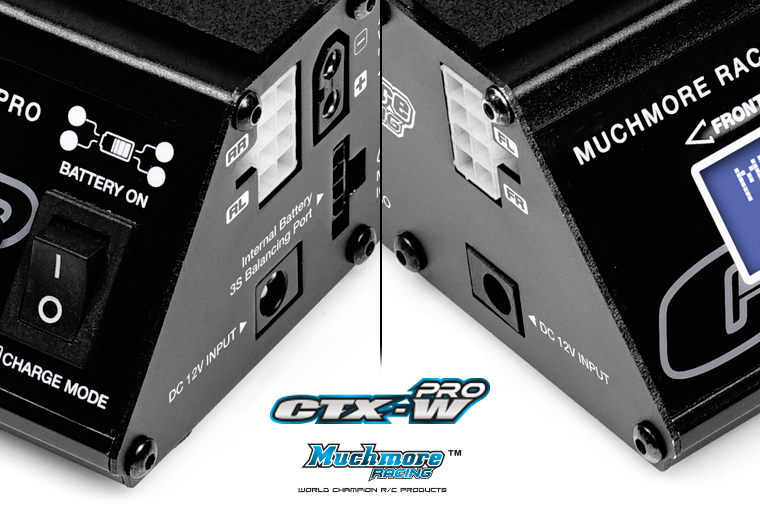 The CTX-W PRO includes a sponge for use as a car stand top surface. 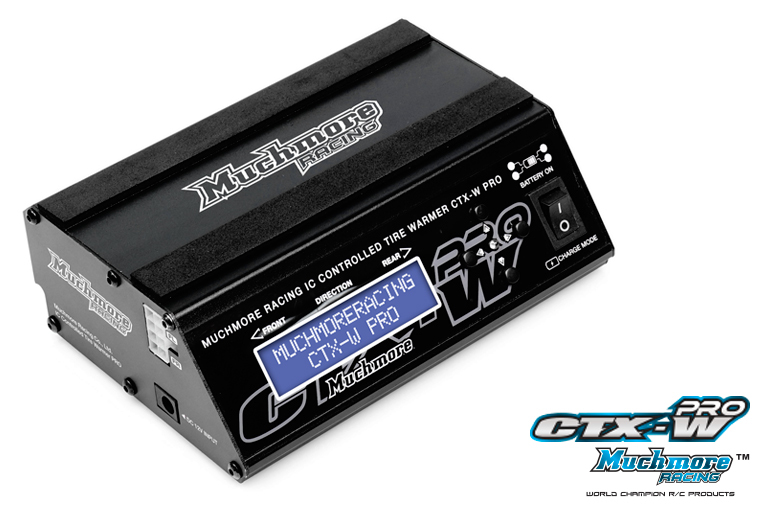 This is convenient when used on a pit table or track. 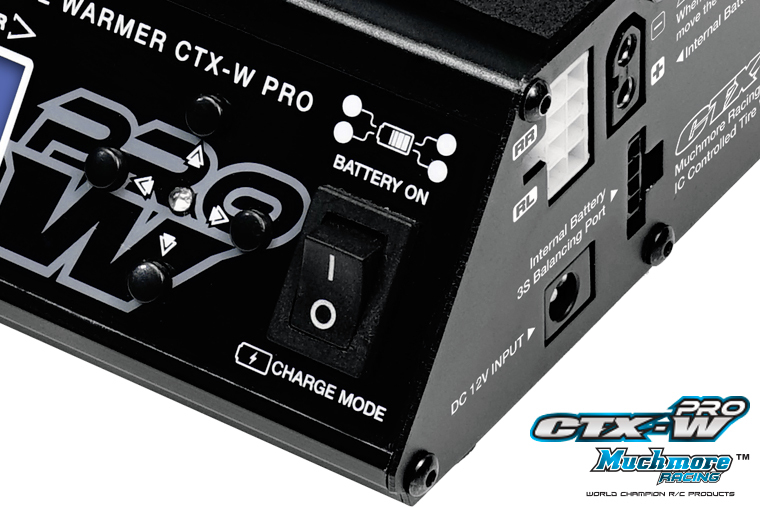 The CTX-W power port is located on both sides, making it easy to organize your pit table. 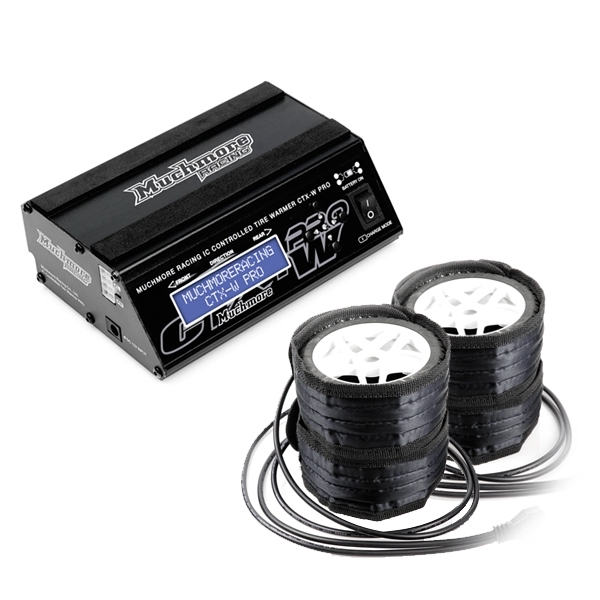 Tire warmers can be built into the battery(Li-Po 3S), so they can be used without connecting to a power supply. Built-in Li-Po dedicated charging port allows charging without detaching the battery (including dedicated charging cable). The battery protection function has a low voltage alarm setting function. 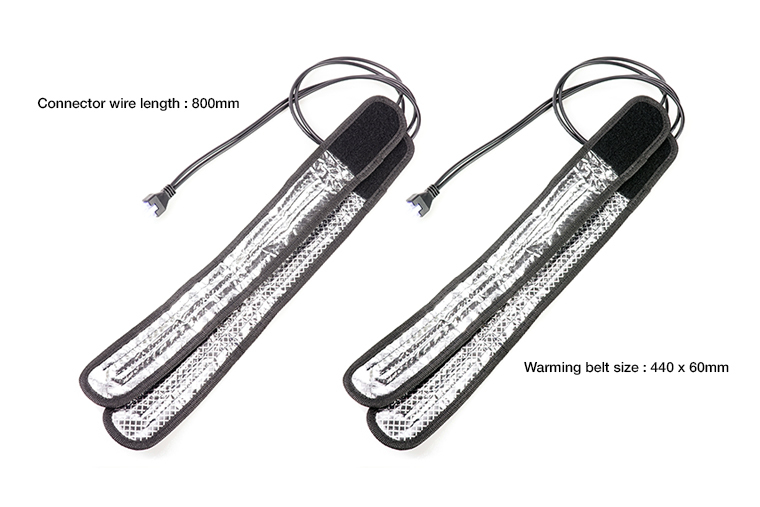 CTX-W PRO long belt package include tire warmers (long belt type). Warmers have built-in independent sensors. You can set the front / rear temperature differently by setup. 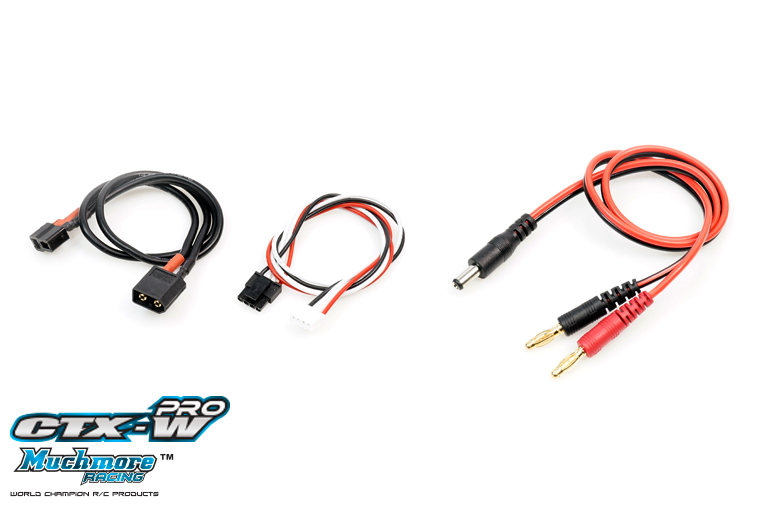 included Power cable, Charging power and Cell balancer cable.